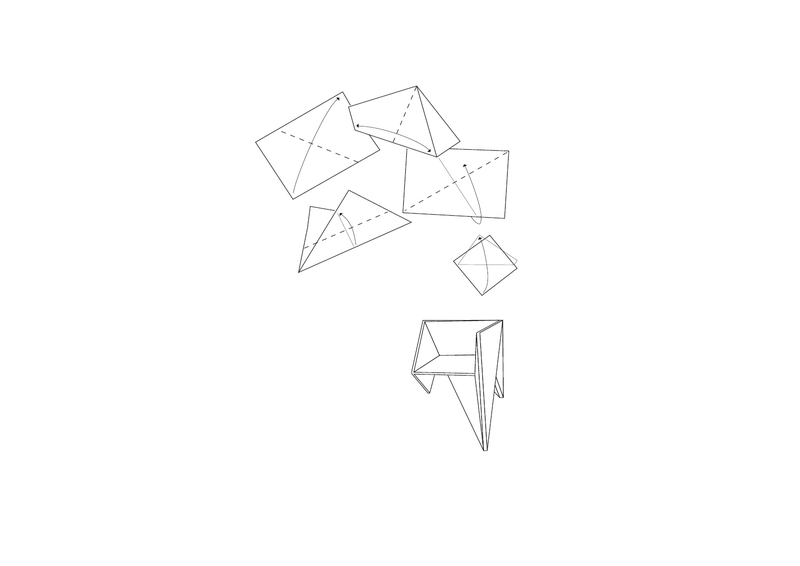 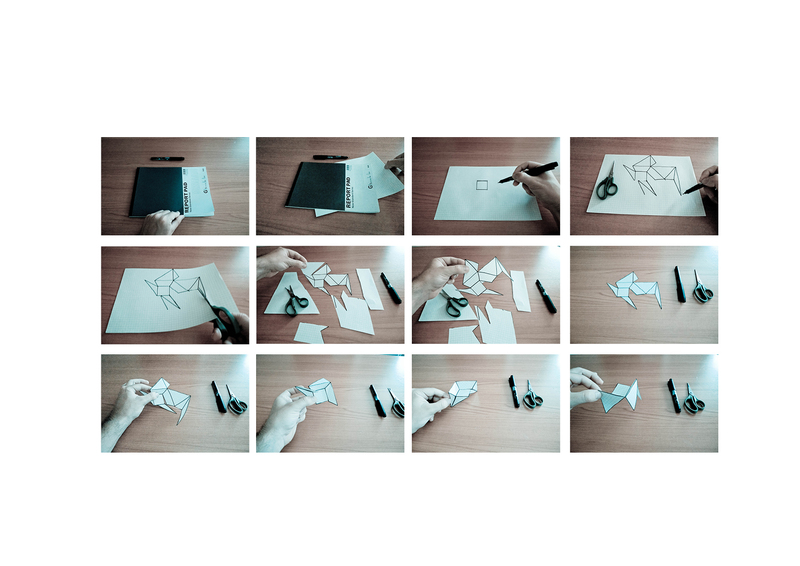 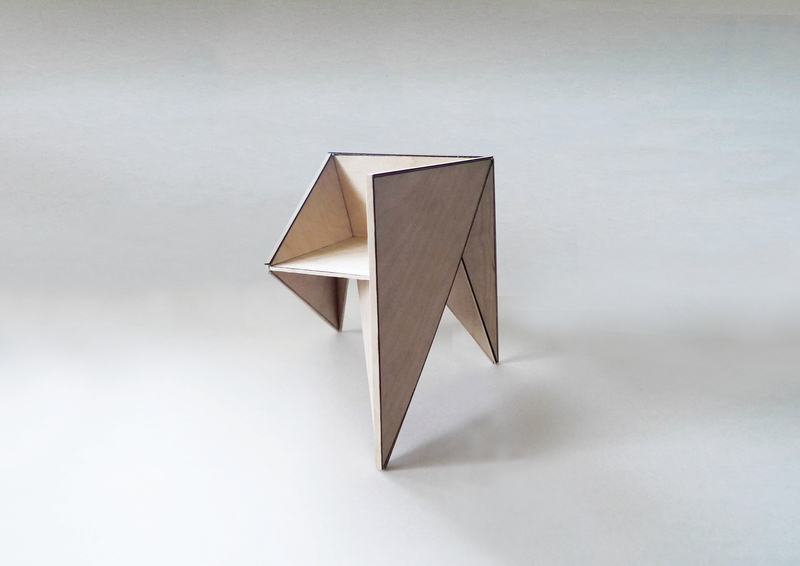 The prototype developed imitates the Japanese technique of “Origami” to create a three-dimensional geometry by folding a continuous flat surface. 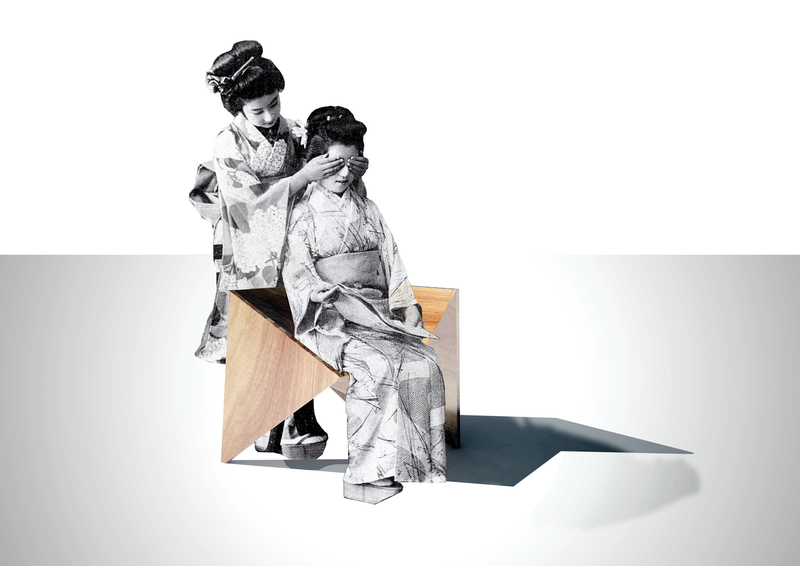 From this conceptual approach the use of solid wood and Japanese techniques of timber assembling leads into the real materialization of these ideas. 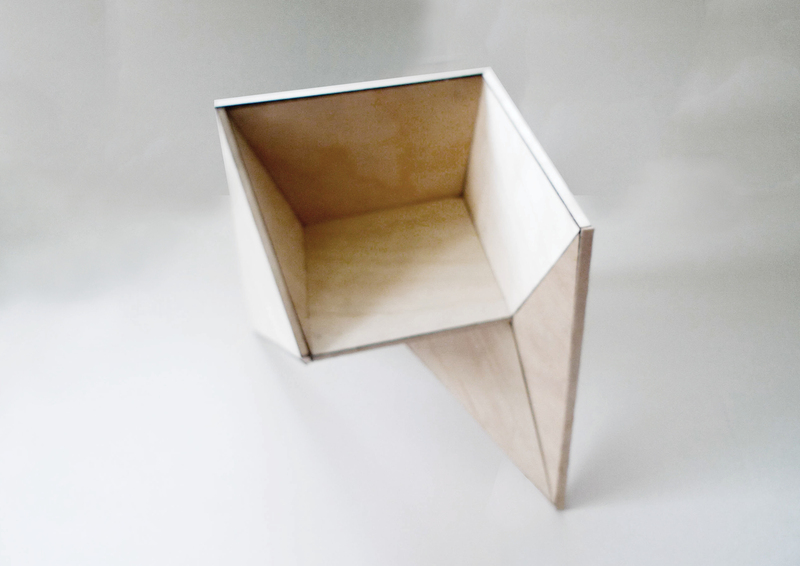 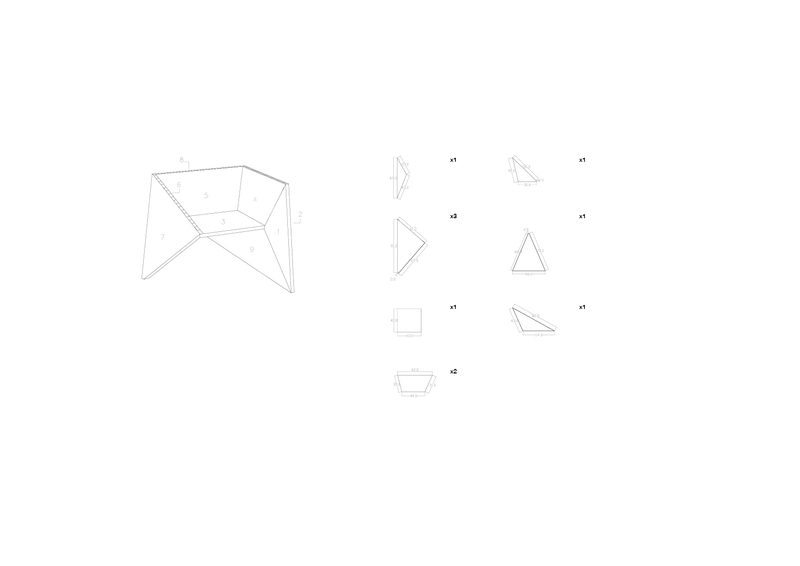 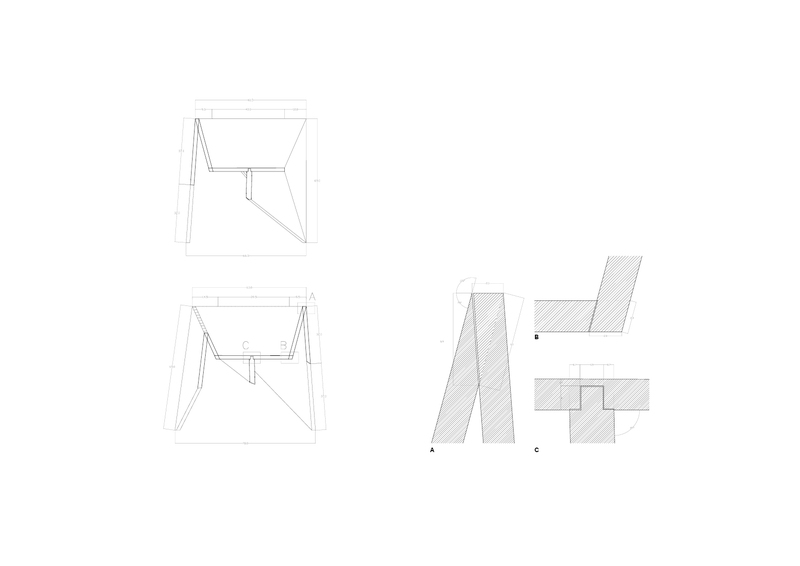 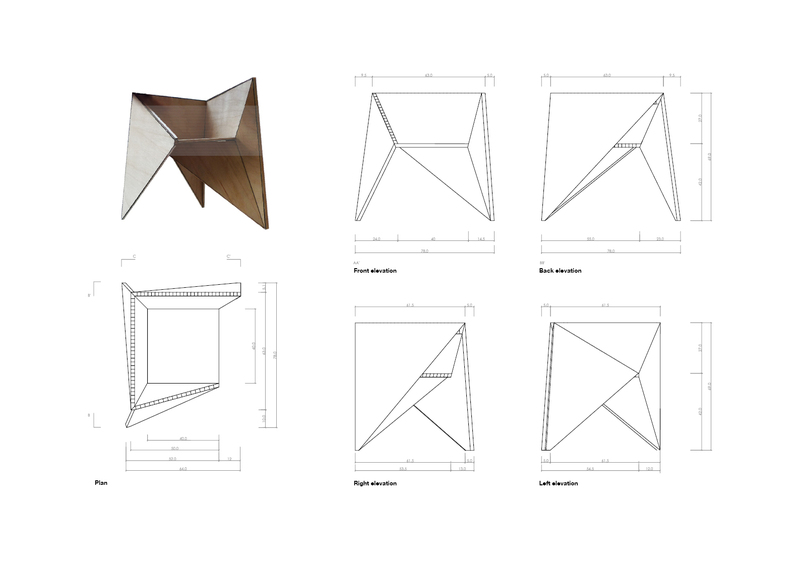 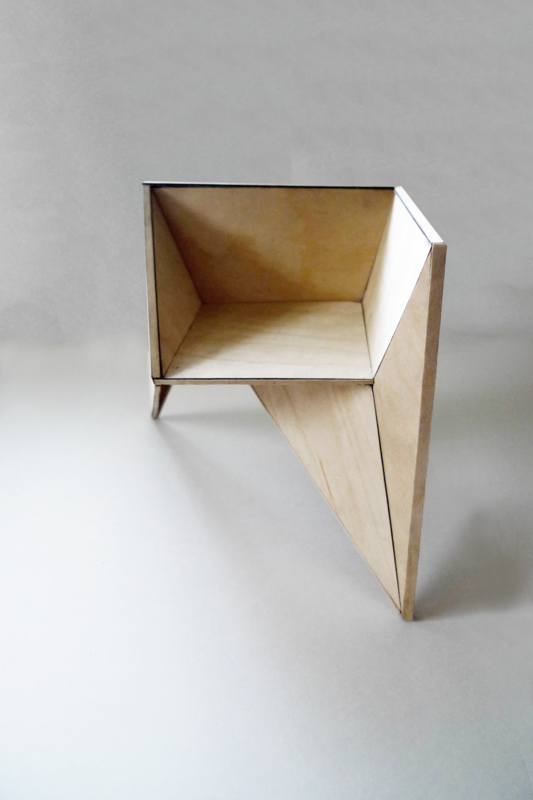 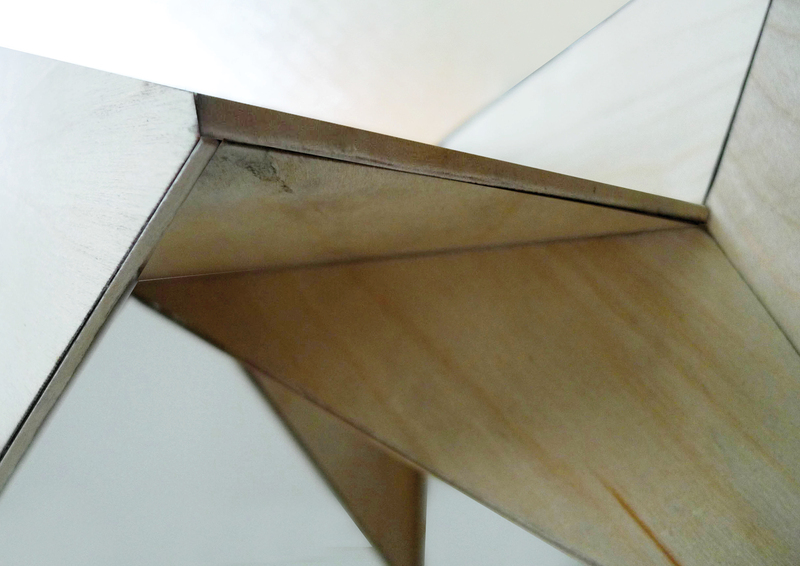 As a result, the appearance of the chair suggests a rather simple object, made up of basic geometrical pieces (8 triangles and 1 rectangle to form the seat), however, the joints between elements, angles and the composition needed to balance the group as a whole while ensuring a conformable position for the user, turns it into a delicate and complex object in contrast with its initial simplicity.